5 STAR 2nd Floor apartment in the VERY UPMARKET BALE`PEPPERS BEACH HOUSE RESORT. EXTREMELY competitive rates negotiated directly with the owner. SPECIAL OFFERS with DISCOUNTED prices on the website. Nestled in the most exclusive part of the resort, guests can enjoy private facilities away from the main resort; however guests do have access to all the Peppers facilities as well as the exclusive Bale` facilities. The forty one apartments are all self contained suites with park views from private balconies. This part of the resort includes a lap pool, hot tub and relaxing lounge areas, available to only you and the other guests occupying the other 40 suites. Alternatively, you are also welcome to use all of the facilities in the main Peppers resort. There is a beautiful park for kids with an adventure section and swings so take up some balls if your kids enjoy soccer, cricket or rugby. There is a tennis court (take rackets and balls if you play tennis) 3 heated pools, the beach right in front, bike tracks everywhere if you are a bike rider. There is also canoeing available on nearby Cudgen Creek which is quite inexpensive. Kingscliff is very close to the Gold Coast so you could drive up to Sea or Movie World for the day. There are lots of brochures in the foyer with things to do or see in the area. This beachfront suite is located on the middle floor of the complex close to the golden sands and sparkling surf beach. The apartment has beautiful views of the central park from the balcony, main living area, kitchen, main bedroom and main bathroom. There are 2 bedrooms, one has a king size bed and the other can be made up as you require; singles or a king, 2 beautiful bathrooms, the main one with an amazing double spa bath. There is also an open plan study in which 2 extra guests can comfortably sleep on an ottoman which folds out to a queen bed. The apartment has a huge balcony, a spacious living and dining area, a very modern kitchen with all appliances and utensils with tea and coffee provided. All linen is provided and the beds are made up for you on arrival. The apartment is situated on Salt Beach and is part of the exclusive Peppers Bale`Beach House Resort and Spa. Please note this property is managed independently and the savings are passed directly on to you, the public. All Peppers Resort and Spa amenities are available to guests. The Salt precinct has been designed for your enjoyment. Restaurants in the area range from 5 star Fins and Seasons to a family Thai, Italian and a Pizzeria. Something for everyone when you need a break from apartment cuisine. Within a 2 minute walk is an IGA supermarket for supplies, a hairdresser, a great bottle shop, the Salt bar and the best Gelateria in Australia. Sitting just behind the resort is the Peppers Spa, located at the resort. Enjoy all the pampering this outlet offers from massages to facials. To the rear of the complex lies the Cudgen Creek which is a wonderful, safe location for fishing, swimming, boating or having a creek side barbecue. Bikes and swimming equipment can be hired from the resort. Salt is perfectly poised to be your base for exploring the best of what the region has to offer. 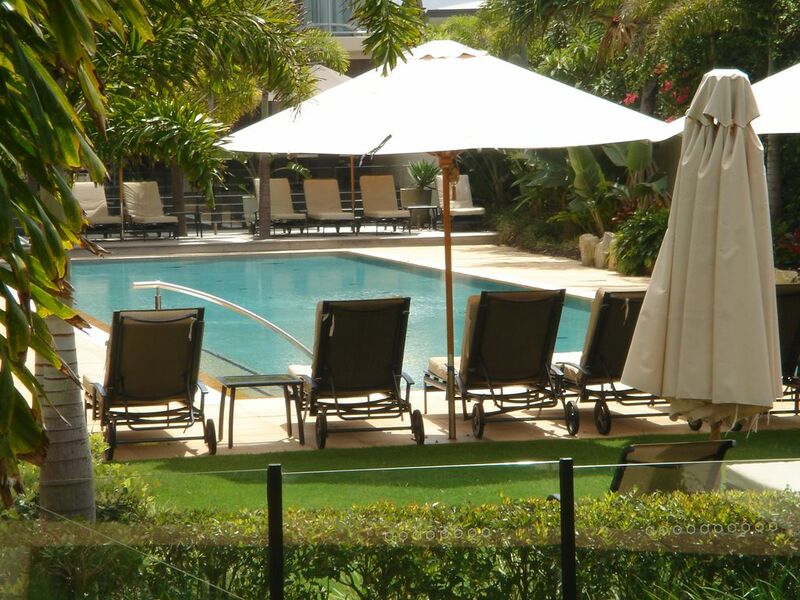 It is located a short 15 minute drive from the Gold Coast Airport. A 30 minute drive south sees you at Byron Bay and the same drive north will see you in Surfers Paradise. The amazing north coast hinterland with its famous Mount Warning is within a 45 minute travel and Brisbane can be reached in 1 hour and 10 minutes. I live and work as a Head Teacher in Sydney and bought the apartment as an investment. I travel up to Kingscliff as often as possible.It is a magic spot and away from the glitz of Surfers Paradise. Enjoy the owners personal touches rather than the stark hotel type accommodation. Magnificent 5 Star Beach side apartment in Bale Peppers resort Salt Kingscliff. This is our second visit to Peppers and we were not disappointed by our Stayz experience, the first having booked directly with the hotel. Overall the resort is fantastic for families with everything you need for a superb holiday on hand. This time, booking and checking-in was easy, the apartment was a great size for a family of five and was well-equipped for 3 days of self catering. Lovely property and so much bigger than expecting. Close to everything you could need and access to an amazing pool. Will be back. We have stay at Bale & Peppers many times in fact this was our 7th Stay this year, this time we booked our stay through HomeAway Stayz and found this to be easy. The apartment was well layout with some personnel touches from the normal apartment booked directly through Peppers. The only comment which is common throughout all our stays is that the main lounge could do with an upgrade as it is showing its age. We had the perfect family holiday at Salt! This apartment was modern, clean and very comfortable. We spent the time relaxing by the pool or sitting and chatting on the balcony. The beach was only a short walk away which the kids loved! We loved our little family getaway here and would love to return for a longer holiday next time. Fabulous apartment in a great location. Clean, spacious, fabulous for a family getaway.